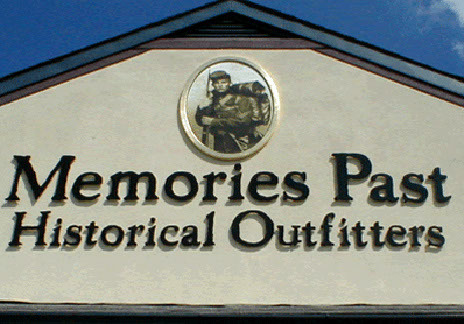 Memories Past Historical Outfitters: Custom cut-out Plexi™ Letters; Photo reproduction, with 23K gold border. 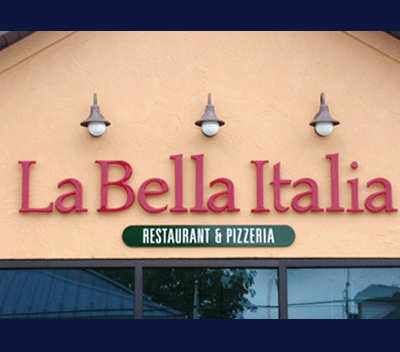 La Bella Italia: Gemini™ Formed Plastic Letters. 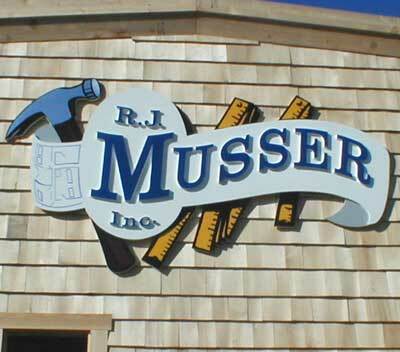 R.J. Musser Inc. : Logo Design; Custom cut-out letters and features using Sintra™.